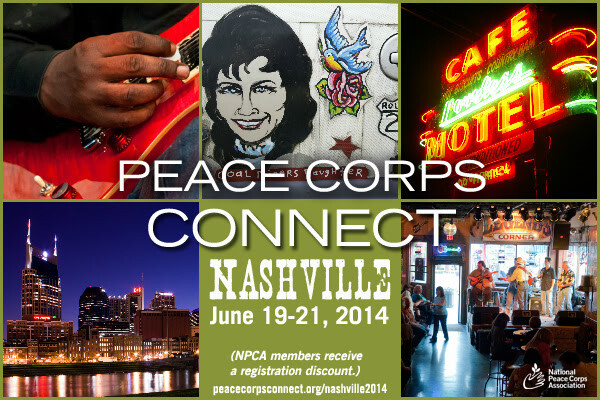 Join the National Peace Corps Association and our local hosts, the Tennessee Returned Peace Corps Volunteers, on June 19-21, 2014 in Nashville. We are very excited for you to reconnect with the Peace Corps community and re-energize your Peace Corps spirit! Last year, hundreds of attendees came away from Peace Corps Connect – Boston energized and renewed. This year’s program is even bigger and better, with lots of networking and inspiring presenters (maybe even you…?). Come tell your story, learn from others and have fun! Learn more and register! Special rates for NPCA members, seniors, and recently returned Peace Corps Volunteers. Early bird registration ends on April 21, 2014. Register today!